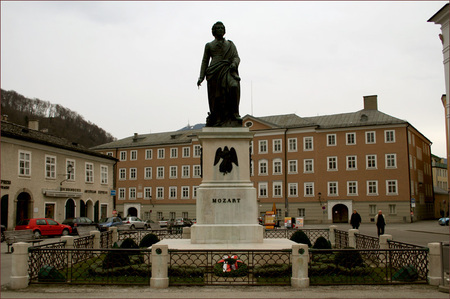 Exploring an off-season Salzburg turned-up a few destinations worthy of sharing with all of Opera Chic's music<3'ing readers. 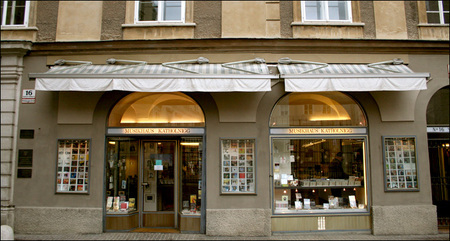 Stumbling upon CD store, musikhaus katholnigg, on Sigmund-Haffner-Gasse 16 (pictured above), gave the impression of who exactly holds popularity with the Salzburg crowd. Browsing the stacks revealed a giant selection of Magdalena Kožená, Ceci Bartoli, Thomas Hampson, Natalie Dessay, Bryn Terfel, and Rolando Villazón. However, golden-boy Juan Diego Flórez held just one single CD spot, and Fleming just had two. 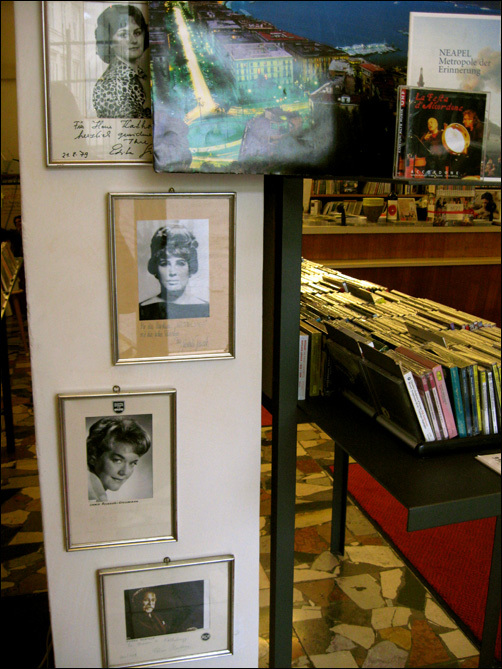 However, they did have a few copies of the NTA Hampson & Ramey CD, so this store frikkin rules. 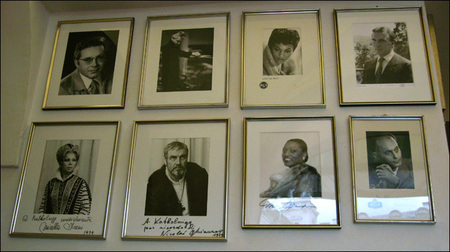 Autographed, signed 8x10s of famous singers and conductors flank the walls (image above), from Leontyne Price to Nicolai Ghiaurov to Mirella Freni to James Levine. Now here are a few other images from the weekend in Salzburg. 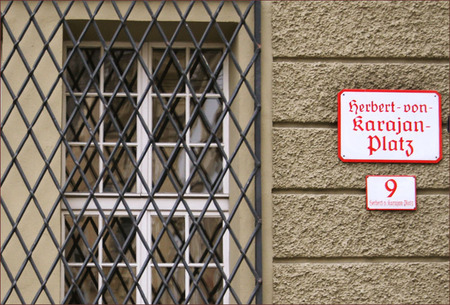 ^^^^^ (above) Oh hay there: Herbert von Karajan Platz, Salzburg. 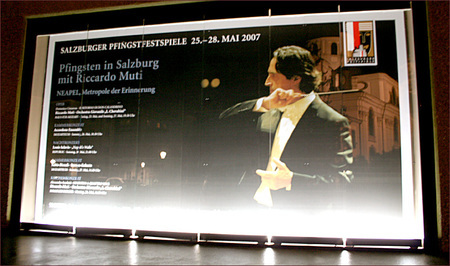 ^^^^^(above) Gigant0r Muti poster at the Großes Festspielhaus for his May Salzburger Pfingstfestspiele performance. 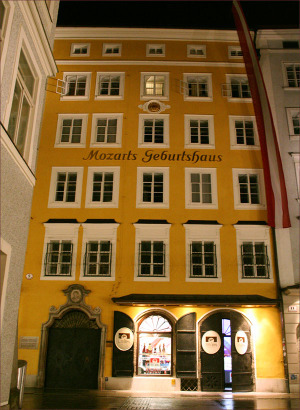 ^^^^(above) Mozart Geburtshaus, Getreidegaße 9, Salzburg. teh bebbah mozart!